Since our inception, The Louvre Bridal has been providing a complete range of bridal services to provide couples with a memorable and seamless wedding experience. From the selection of the wedding gowns and dresses to pre-wedding photography and actual day wedding planning, our groom and brides can count on us to have their wedding well taken care of. Browse our wide collection of bridal gowns and be inspired by our highly raved Korean Designer wedding dresses! Creating a bespoke gown is like being part of an integrated creative process. From the very beginning to the end, the gowns are conceptualized and designed to bring out a sense of ethereal charm and elegance. So you’re in for a surprise as you witness the dream gown that garnered the most votes on an Instagram poll come to life during our bridal fashion show on the 23rd of September 2018. Be sure to come down to witness our highly-anticipated Bridal Couture Runway and let us turn your dream into a reality! One of Singapore’s Top Wedding Bridal Gown Rental, Bridal Shop & Wedding Dresses Boutique. Beautiful from head to toe. Drawing inspiration from the sophistication and elegance of the Louvre Museum, The Louvre Bridal shop offers artistic works of art for individuality. At our bridal boutique, we pride ourselves on the uniqueness of our wedding gowns & bridal gown collection, providing brides across Singapore with versatile wedding dresses and looks to enhance their natural beauty. Our bridal shop offers a wide range of bridal gowns that are exquisite and unique, and we are sure that a soon-to-be bride will definitely be able to get her very own bridal gown with us. Our wedding bridal boutique houses the newest wedding dress designs from Korean Designer, Japanese Designer & Local Designer wedding gown collections. Whether you want to feel like a princess with a traditional ball-gown or want to turn heads with a more modern and daring showstopper dress, we have the selection of bridal gown or wedding dress to suit you perfectly. Find your dream wedding gown with The Louvre Bridal today! As one of the top bridal shops in Singapore, we know what couples are looking for on their wedding day. In addition to our unique collection of bridal dresses, we also offer planning for pre-wedding and wedding day photoshoot events. As the love you and your partner share are unlike any other in the world, you can reflect that on your special day. Make your special day not just the beginning of a long and happy life together, but a celebration of two compatible lovers coming together to make something extraordinary. We can even help arrange destination pre-wedding shoots in exotic and stunning picturesque settings in Korea, Japan, Paris and Perth. Make yours a wedding to remember with our expertise. An especially popular choice among Singapore brides, our Korea wedding photoshoot and Thematic Concept offer you a range of youthful, vibrant and elegant concept shoots for you. As the official partner of the Korea Tourism Organization, we are better equipped than any other company to give you the best experience. Contact Singapore’s best to get the wedding photo shoot of your dreams. 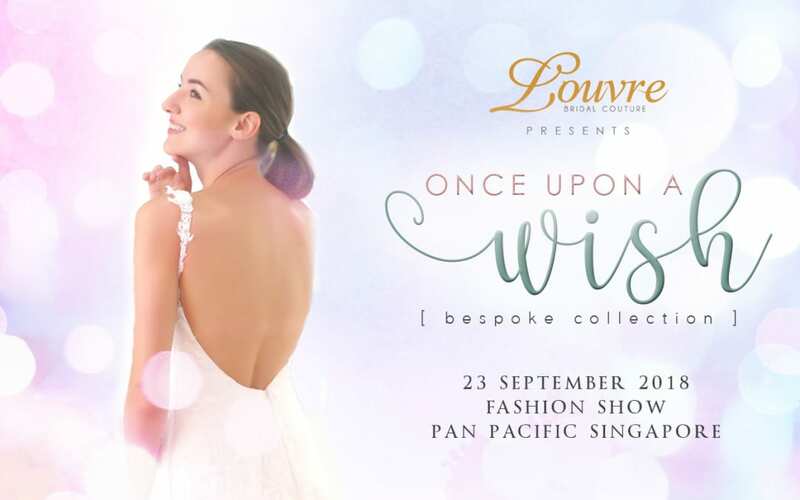 Call (+65) 6337 7808 or email us at enquiry@thelouvrebridal.com to find out more.